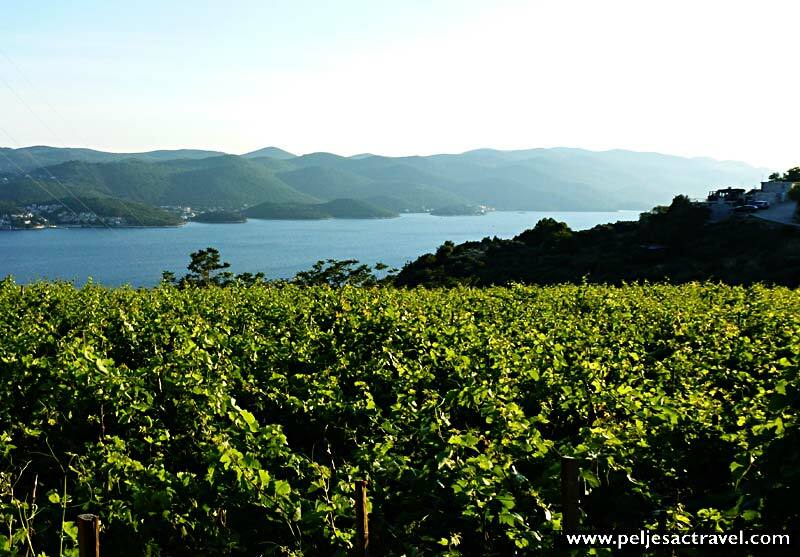 Peljesac wine is indeed considered to be among Croatia’s finest wine. Postup wine – Postup is a premium wine since 1967. Sometimes called the younger brother of Dingac. It is produced from the indigenous Plavac Mali at the specific locations around Postup village as well as in Potomje. The wine is dark ruby colour, full-bodied, balanced flavour with a hint of bitterness. It fits good with red meat, game or grilled fish. 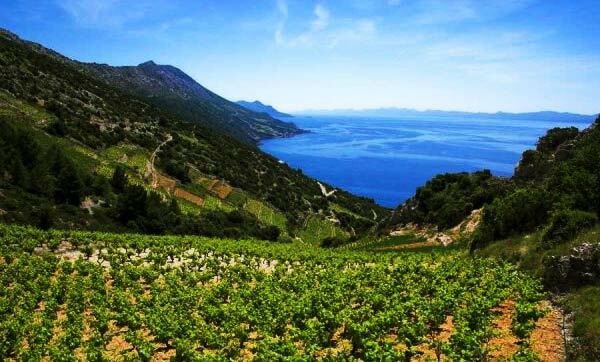 It should be chilled to a temperature of 18 ° C.
Bartulovic Winery – Bartulovic Winery is located in the central part of Peljesac called the Peljesac parish, in the old picturesque village of Prizdrina. The Bartulovic property includes a winery and wine cellar. Grgić Winery – founded by Napa Valley winemaker Mike Grgich, a Croatian emigre, in 1958. Grgich, who earned international fame as the winemaker at Calistoga’s Chateau Montelena, founded his own Grgich Hills winery in Rutherford in 1971. Red wine Plavac Mali is the famous product of this winery. 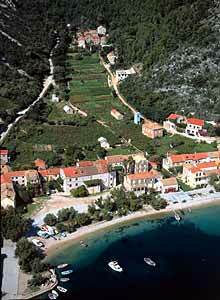 above photo: Slopes of Peljesac above Trstenik where well-known wine Plavac Mali is grown. Another place in the vicinity to try some good wine is in Lumbarda, just across the channel.